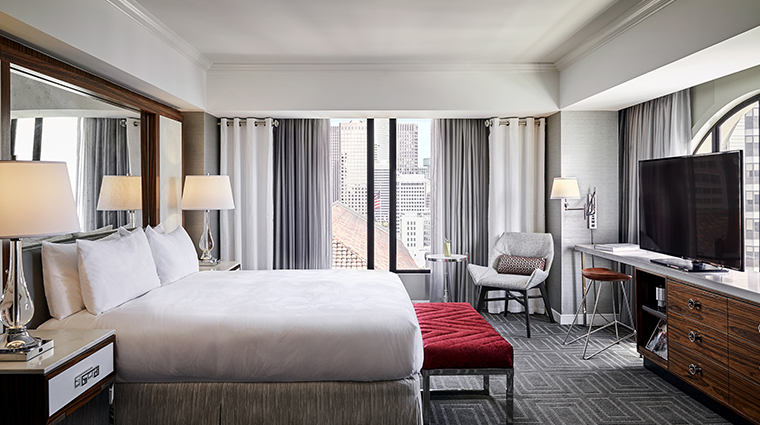 JW Marriott San Francisco Union Square is a colorful and urbane hotel just steps from San Francisco’s bustling Union Square, the Financial District and the Embarcadero. 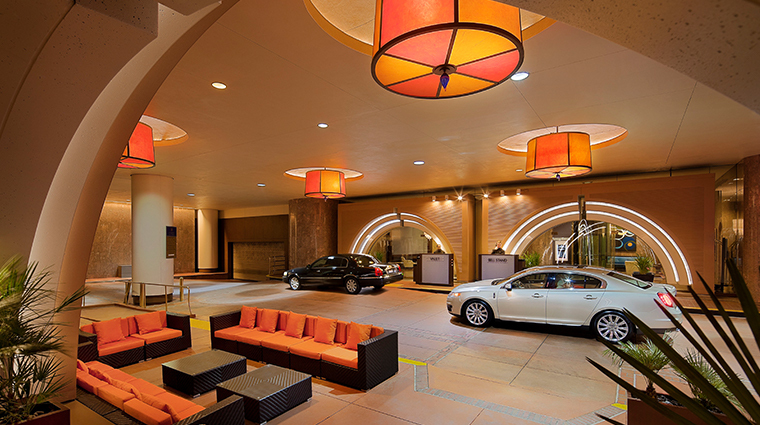 The porte cochere features open arches overlooking the street and a chic seating area with woven deck furniture you might expect to find poolside. Just inside, you’re greeted with glass art flowers and shapes reminiscent of Dale Chihuly pieces. 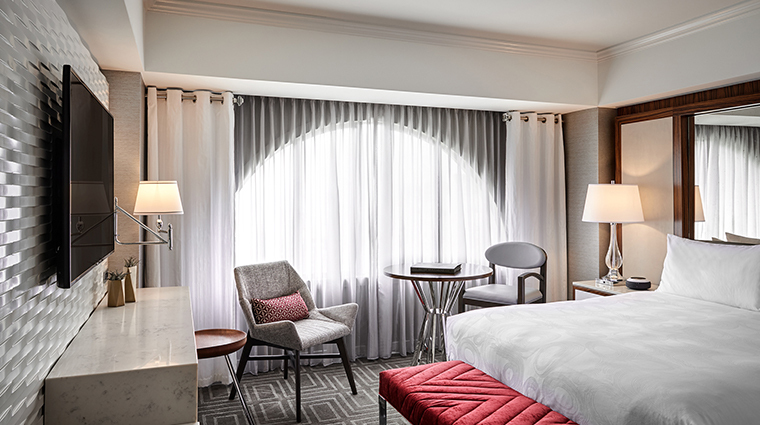 The luxurious hotel lobby on the third floor features a striking central atrium, glass elevators, mosaic marble floors, a ring of bronze sculptures and colorful chandeliers. 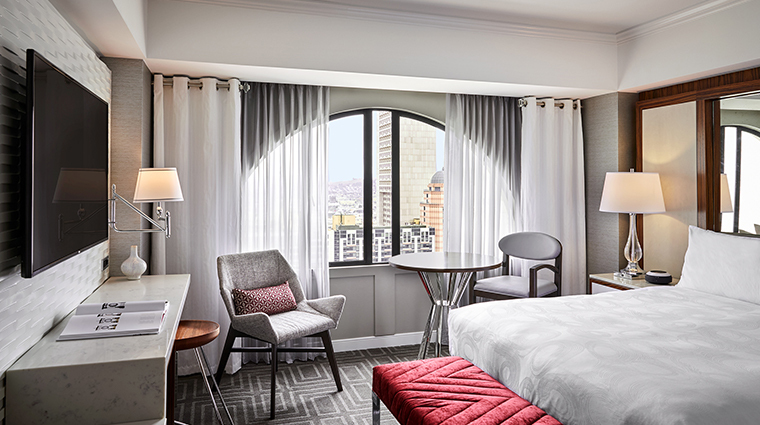 Staying in Union Square makes it easy to travel to nearly anywhere in the city or the East Bay — including San Francisco International Airport and Oakland International Airport — since the BART trains and the Muni public transport system stop nearby on Powell Street. 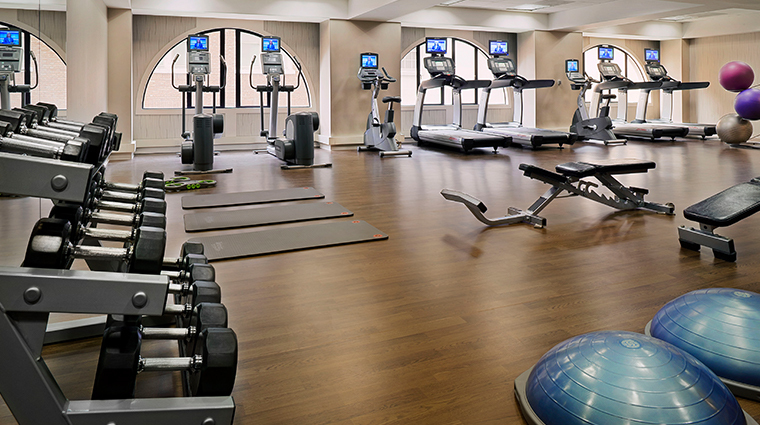 When you stay at JW Marriott in San Francisco, you’re conveniently close to all of the action. 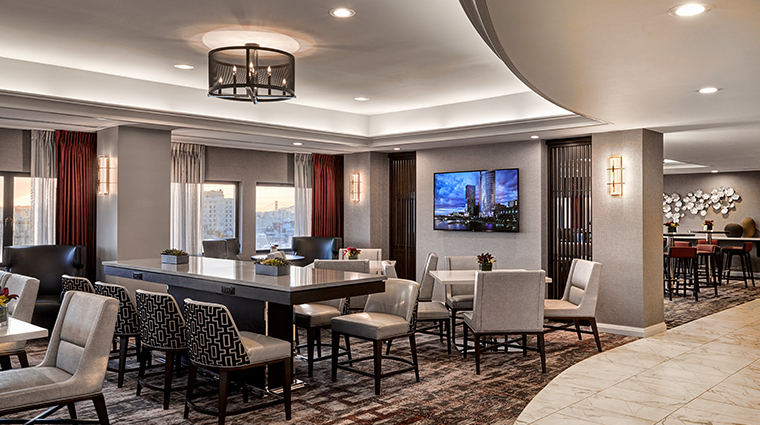 With Level III in the San Francisco hotel and the many restaurants nearby, you can easily satisfy any culinary craving. 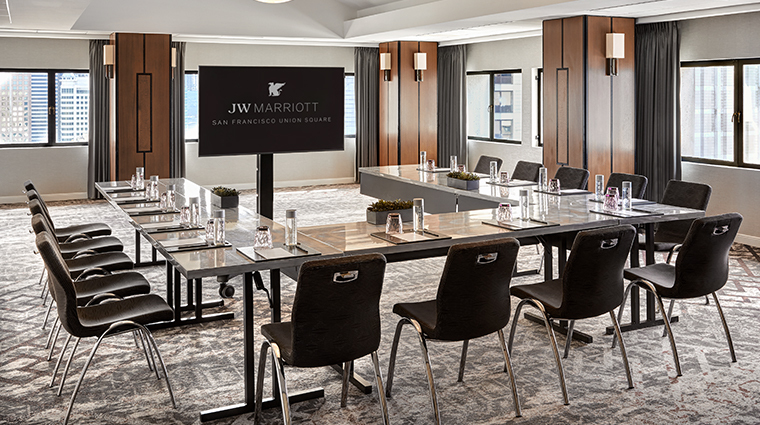 The newly renovated JW Marriott San Francisco Union Square has an elegant and modern design style that incorporates its unique architecture and evokes a sense of rich history. 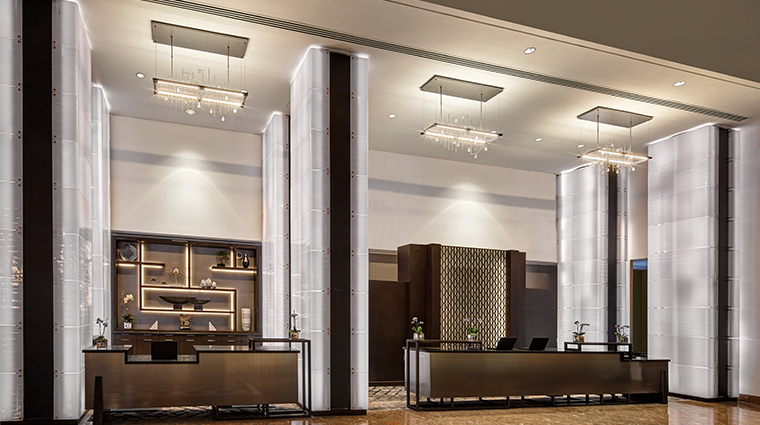 The luxurious details begin at the door, with the porte cochere and the vivid glass sculptures reminiscent of Dale Chihuly’s work. 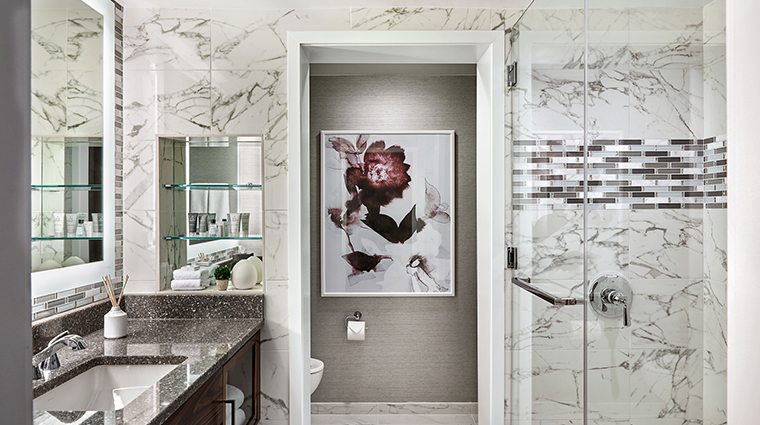 The guest rooms echo the rich details found in the public areas with sleek dark wood furniture, sophisticated artwork and walls and marble-clad bath suites. 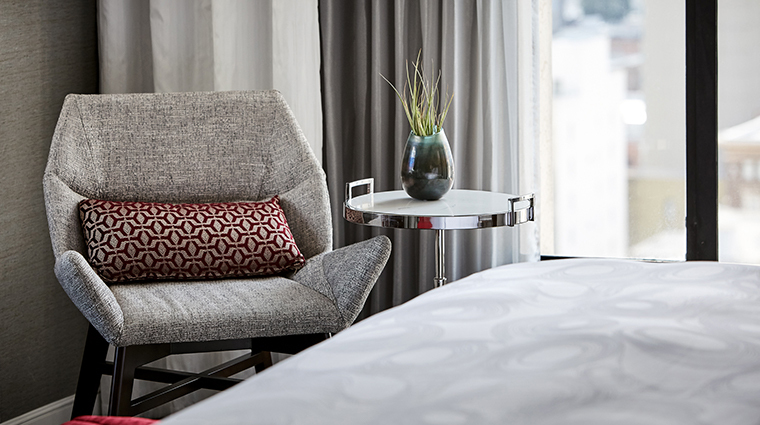 The design style at the San Francisco hotel is elevated and memorable. 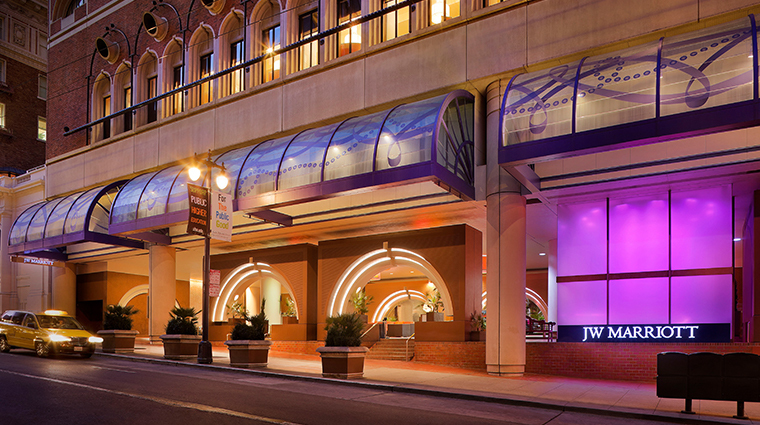 The impressive 21-story hotel dominates the corner of Post and Mason streets. 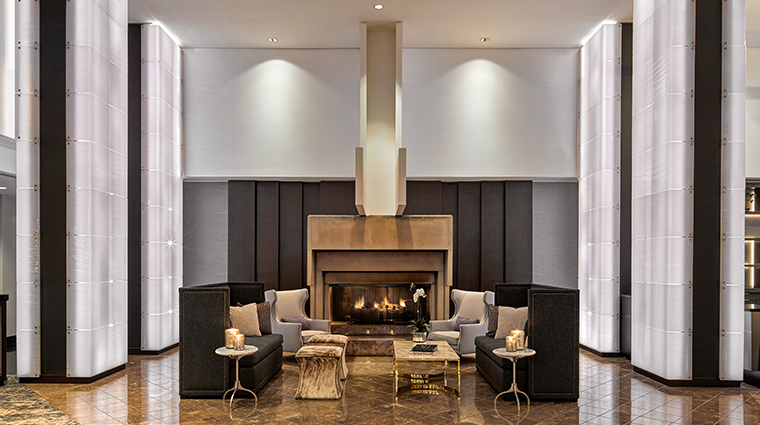 It is just a three-minute walk from Union Square, a famous area in San Francisco that’s chockablock with luxury fashion boutiques such as Bottega Veneta, retailers like Neiman-Marcus and popular restaurants. 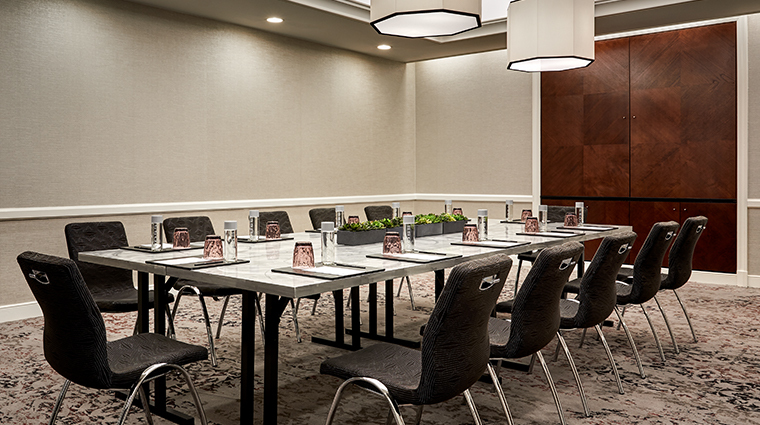 The San Francisco hotel is close to the Moscone Convention Center, the Powell BART station and attractions, such as the Embarcadero. To most people who live here, late summer and early fall are the best times of year in the city. You’ll be able to enjoy farmers markets, dining at outdoor cafés, strolling along the Embarcadero or a 49ers football game at Candlestick Park. Spring can be lovely in the city, too, but the weather is more unpredictable, and winter can be quite windy and rainy. 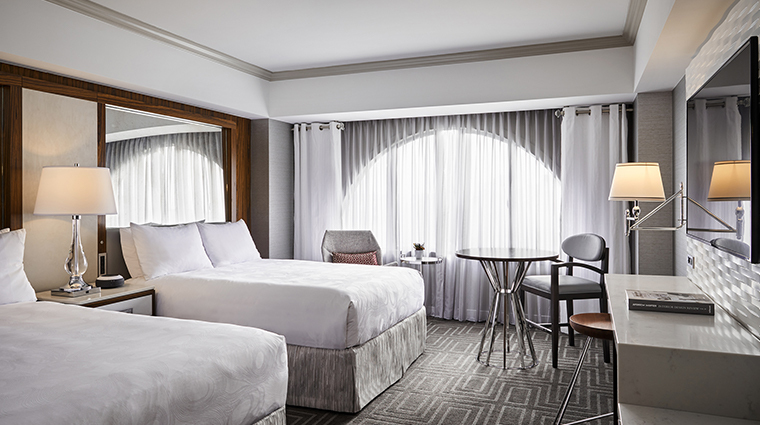 The new-look rooms and suites at JW Marriott San Francisco Union Square are spacious and outfitted with many modern amenities and refined décor. 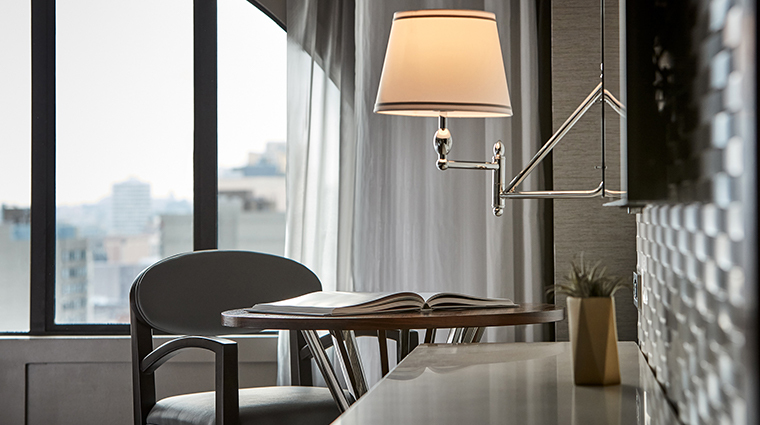 Rooms feel warm and tastefully harmonized with gray tones, natural lighting and simple pops of color that accent each unit. 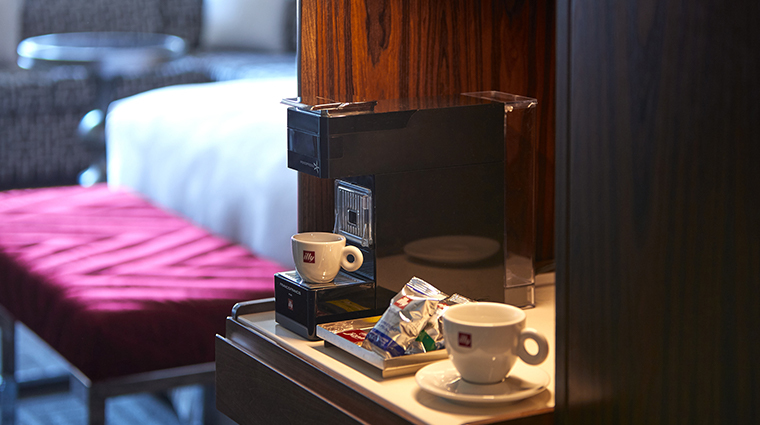 The rooms have large flat-screen televisions, Wi-Fi as well as a wired Internet connection; you’ll find it on the desk along with outlets for nearly any kind of video device. 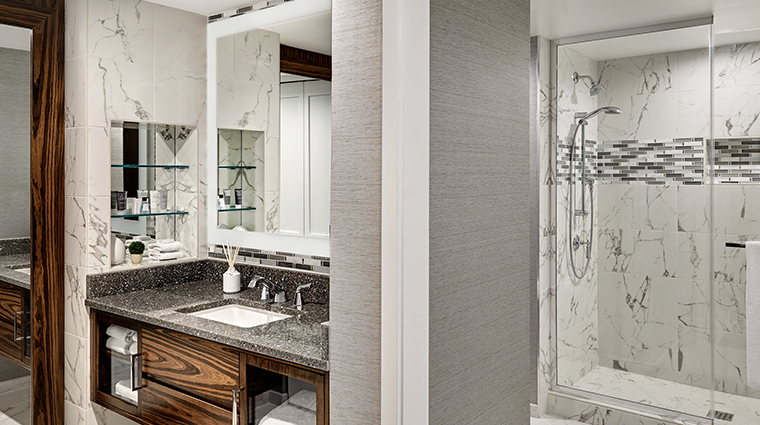 Pillow-topped beds are swathed in satiny white linens, while bathrooms — which offer separate areas for the vanity, commode and shower — are covered in white and gray marble. Both the Level III restaurant and bar focus on fresh, seasonal California-style cuisine. 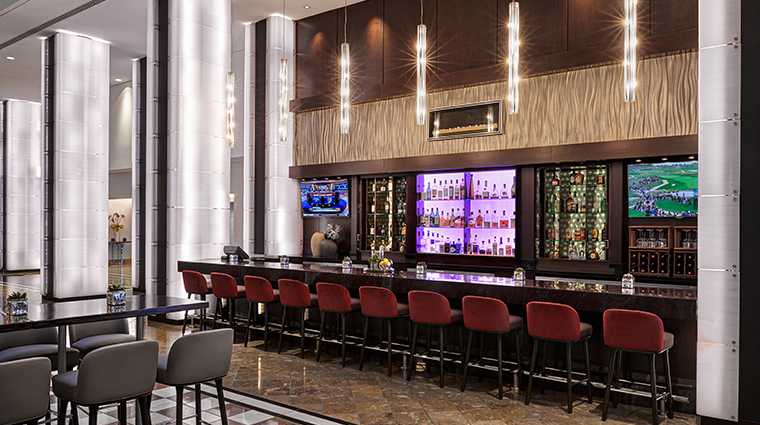 Have a seat at the Level III Bar, and order a quick lunch of a halibut fish tacos and a glass of wine or craft beer. Or if it’s closer to happy hour, find a spot at the tall communal table and share some conversation with other guests, along with flatbread pizza and a basil gimlet. 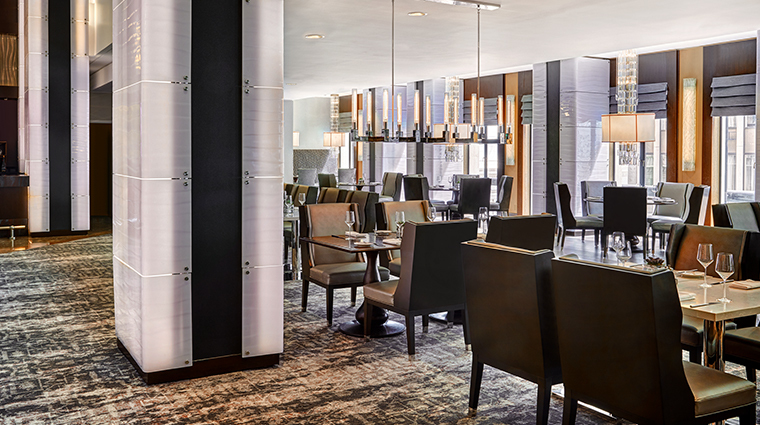 Level III restaurant is an intimate space that complements other areas of the hotel with its neutral hues, sleek décor and unique accents. 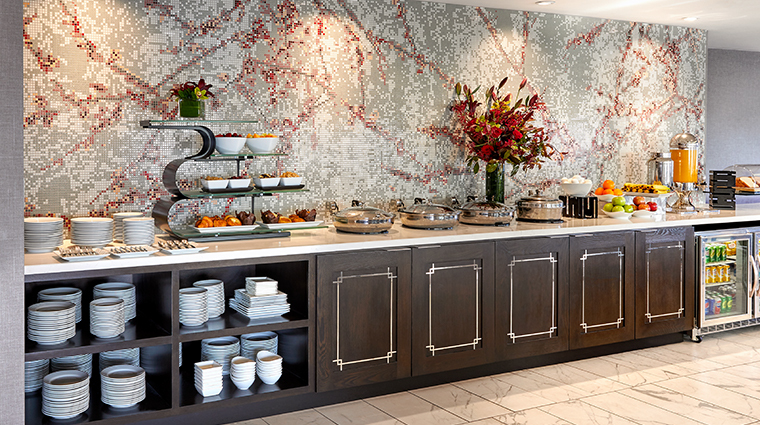 Level III is open for breakfast, lunch, dinner and weekend brunch.